1. If Yannis knew that he would not be able to leave the island, would he still paint the stones? 2. What are the similarities between the myth of Sisyphus and our lives? 4. Comment more on the “endless spiral of existence” mentioned by Yannis in the film. And compare it with the “acts of a mechanical life” by Camus. 5. Was Sisyphus really punished or was he a free man eventually through his actions? What is the role of free will? 6. What is the meaning of absurd in Albert Camus’ existential philosophy? 7. What is the relation between the philosophical suicide and living with the absurd according the myth of Sisyphus? 1. What kind of position does Bahar Yürükoğlu take vis-à-vis reality? Does she emerge as a fiction maker or a conveyor of reality? If so, what kind of reality? 2. In which ways is loving something/someone can be wanting to be it/him/her? 3. What kind of ritualistic elements does Bahar Yürükoğlu’s practice have? What is its relations to death? 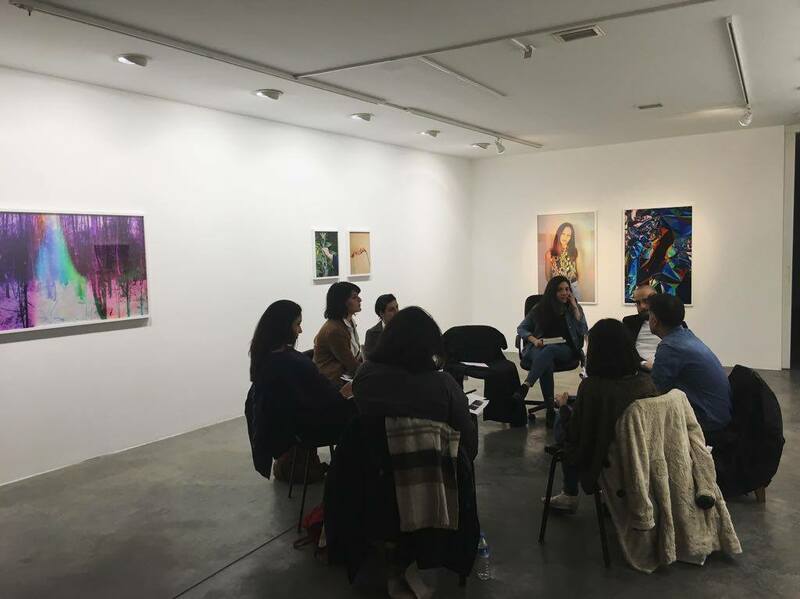 – How has the transformation of the art scene in Turkey (especially the institutionalization of the later 1990s) influenced Gülsün Karamustafa’s work? 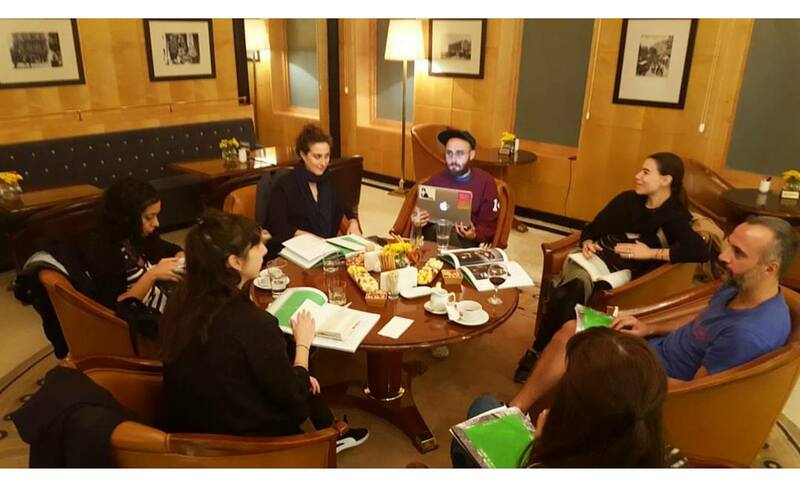 – What does the profile of owners of Gülsün Karamustafa’s early work tell us about the Turkish contemporary art world & history? – What kind of critique is present in Gülsün Karamustafa’s interpretation of arabesk? What is her position (an insider or a looker-on)? We can compare her work to that of CANAN vis-à-vis arabesk to discuss this topic. 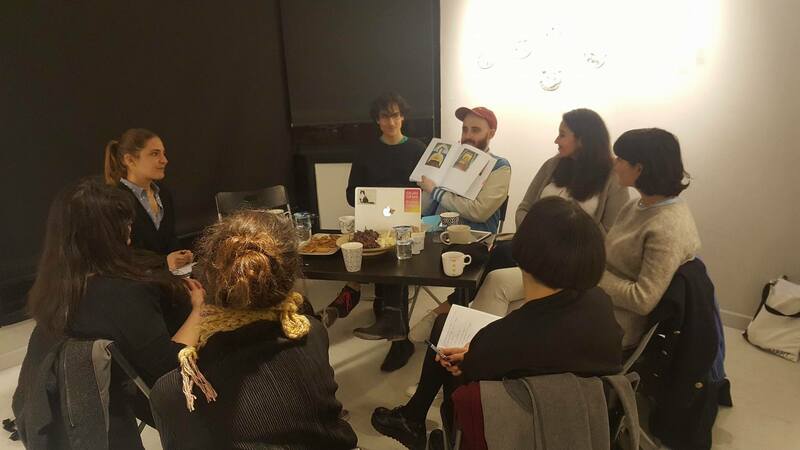 – In Gülsün Karamustafa’s generation of artists, what is the relation between activism and artistic practices? -What does “constituent violence” mean? -How do the writers define archive differently in the two texts? -Is it really possible to use old methods of archiving for online archives? -Why does the tendency of private collection to act publicly exist both in Turkey and Egypt? What are the main motivations / reasons? -How can we create objective archives that are open to public? -What is the role of infrastructure in terms of archiving? How does it change according to the geography? 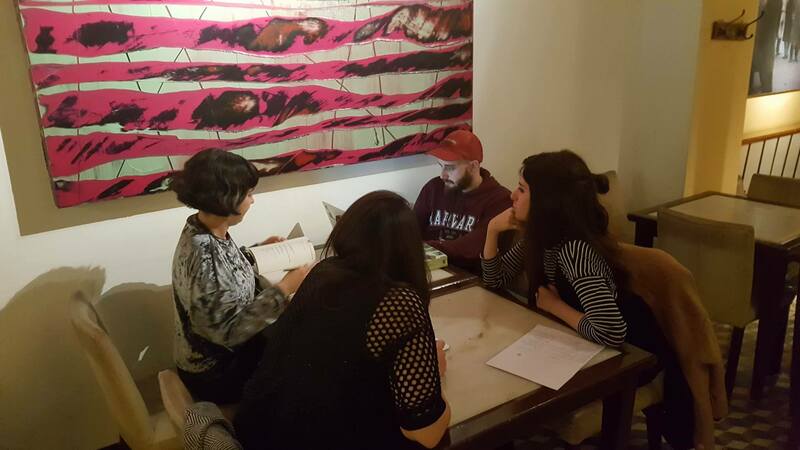 – What is the role of translation and the language while talking about politics related to Middle East? -Does Tom Holert conflict with himself when he uses theories of Foucault to talk about the issues in Middle East? – What does “political economy of knowledge” mean in relation to Middle East? Are we part of this? What can we do about this? – What does post-truth mean in digital age? 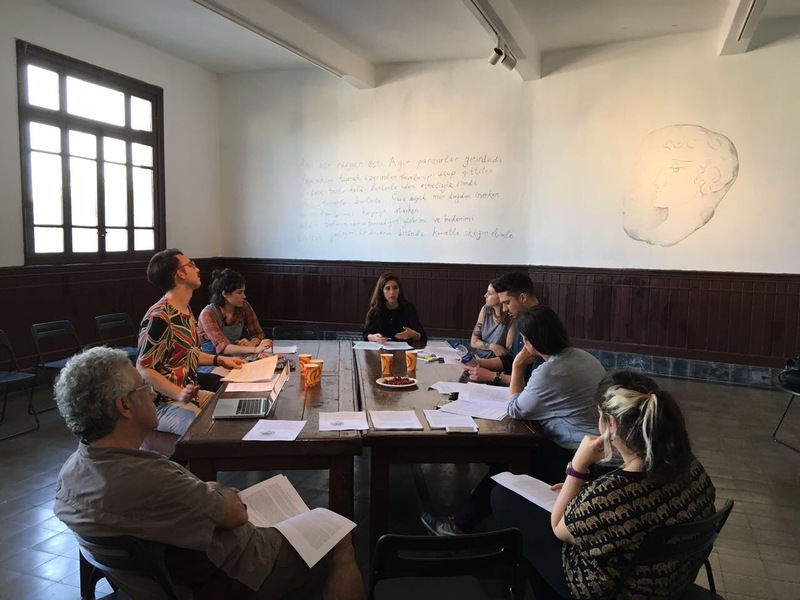 – How do we define the ongoing relationship between the contemporary art and the archive? – What forms of knowledge are being produced in the moment- when art interacts with archives? – How can we discuss “performativity” in the context of “archives as art forms”? – Under which circumstances an archive or an archival work can become “a call for action”? – What is the main idea behind Walid Raad’s concept of “surpassing disaster”? – What is the relationship between Jalal Toufic’s “immaterial withdrawal of tradition” and the concept of “surpassing disaster”? -In secular societies, one’s relation to unknown multitudes (fame, social media following) have replaced God. -What is the relationship between ubiquity of labor(ing) (Colomina & Wigley) and the desire to be desired? -In what ways personal communication methods/manners have merged with professional communication methods/manners? -Can one consider solitude and popularity on two ends of a spectrum while “uniqueness” stands in the middle as a reflecting/refractory surface in the middle, allowing for “jumps” between these two ends? -Use of mobile devices has decreased the capacity of our short-term memory, yet enhanced our long-term memory. -What is the difference between taking selfies and writing a diary? -What are some of the main ideas behind “Katherine Behar: Data’s Entry” exhibition? -Can objects and humans co-exist in a more democratic setting? -How can we talk about the Data’s Entry exhibition in a post-human or post-gender context? -What are some similar examples in the popular visual culture?